Movie popcorn, loaded with fake butter and salt, was a staple of mine prior to my angioplasty in August 2012. Is it any wonder my arteries clogged? My wife and I tend to see movies every week, and in the past we routinely split a large AMC popcorn while doing so. 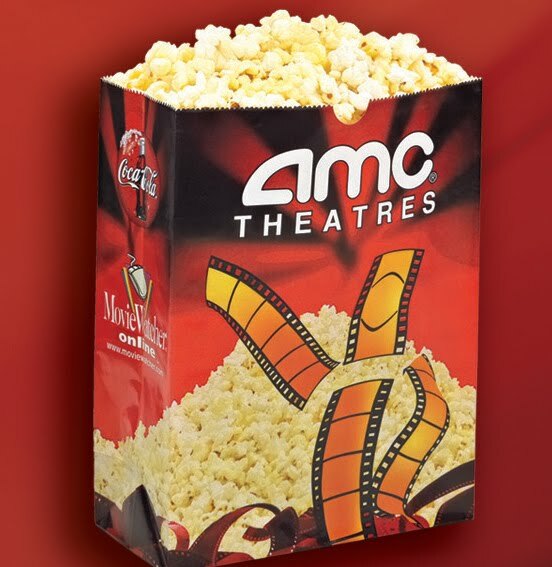 A large AMC popcorn has 1,030 calories and 580 mgs of sodium. And that’s before adding the fake butter which accounts for another 20 calories per cup of popcorn, or 320 calories more given that a large popcorn has 16 cups of popcorn. What’s worse is the saturated fat in that bag, about 60 grams before adding toppings. Those were the days my friend…these days I stay away from movie popcorn. I have not eaten any popcorn at the movies since last August. But this past weekend, when we went to a Regal Theater and got a coupon for a free small popcorn when we purchased our tickets. I couldn’t resist, so we got a bag, put nothing additional on it, and split it. A small bag has roughly 370 calories, 210 mgs of sodium and about 10 grams of saturated fat, or a days worth on my 40 grams of fat a day diet. So technically I could have that half bag. But that said, I don’t plan to buy it any time soon. That little bit made me long for the topping we did not add, and the flavored salts we once used. So better to stay away entirely. A taste of something is more trouble than it’s worth to me these days. If you’re facing similar diet restraints, know yourself. If you can have a bite now and then of foods you once loved without going off your diet, enjoy. If you’re like me though and need to go cold turkey on such offerings, by all means do so. John – you had to go and ruin it for me? You son of a bi … Ok, just kidding, thanks for letting us know. what about the store-bought popcorn? Just as bad? yes, probably more salty than in the movies. make it yourself in an air popper.